Application of Cybele Scagel Kids is easy and non-invasive. 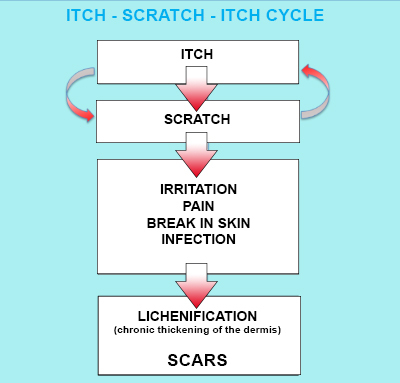 Scratching to relieve itch after mosquito bites can cause further injury to the skin. Cybele Scagel Kids cares for skin by soothing the itch so that scratching and further injury ro rhe skin is avoided. Do not use if the skin is broken or it is an open wound. Itch from mosquito bites can cause distress and discomfort especially for children. Scratching on the moquito bite area can cause further injuries to the skin. Injuries from scratching can lead to scars formation. It is best to avoid scratching. Cybele Scagel Kids is soothing and can help to relieve the itch and therefore scratching is avoided. Yes. Cybele Scagel Kids has a different formulation from Cybele Scagel. Cybele Scagel Kids is formulated to provide additional benefits to care for itchy skin caused by moquito or insect bites and allergic reactions. Always apply Cybele Scagel Kids first.